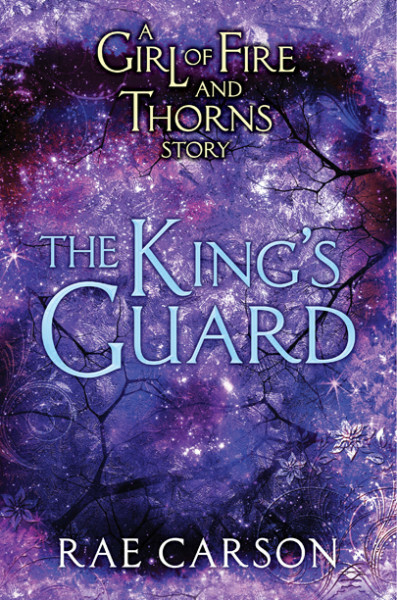 The King’s Guard, a new e-novella in the Fire & Thorns universe, has a cover! Description and cover below. Available July 30! “Hector of Ventierra is the youngest commander of the Royal Guard in his kingdom’s history. But before he was lord commander, he was a lowly squire. In this short fantasy novella, set in the world of The Girl of Fire and Thorns, Rae Carson introduces readers to Hector before he became the man Queen Elisa fell in love with. The King’s Guard also includes a teaser chapter for The Bitter Kingdom, the conclusion to the Fire and Thorns trilogy. Hello, I was wondering if these novellas would be sold in a physical copy? I don’t have an e-reader and love having an actual book in my hand. I love this series and the writing style, but if the novellas won’t be sold in a bound book, then I might just have to invest in an e-reader just so I can have all of the novellas that are sold. P.S. Would the series ever be made into a movie because that would be AMAZING!